You are currently browsing the daily archive for April 8, 2010. 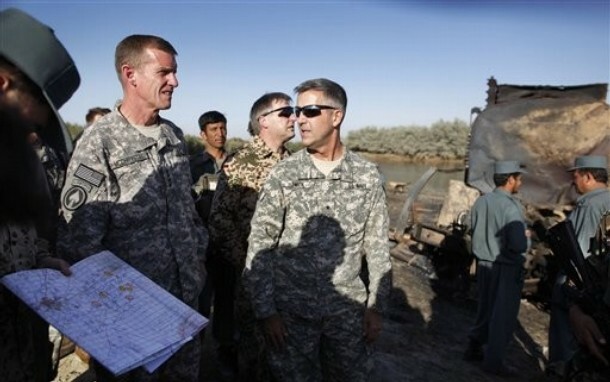 U.S Gen. Stanley McChrystal, left, commander of US and Nato forces in Afghanistan and U.S. Rear Admiral Gregory J. Smith, center, NATO’s director of communications in Kabul, are surrounded by Afghan and German soldiers as they visit the site where villagers reportedly died when American jets bombed fuel tankers hijacked by the Taliban, outside Kunduz, Afghanistan. In between two interesting discussions with foreigners, who both brought up the question of what they term accountability issues with regard to Sri Lanka, I was sent by a friend in Australia a plethora of information about American misbehaviour in Afghanistan. It was all rather horrifying, because the articles I received described not only the shooting of civilians but also, in one instance, sordid efforts at covering up evidence, including the removal of bullets. This, if it occurred, seems to have been done to allow for a deceitful press release from the International Security Assistance Force, as NATO’s force in Afghanistan is known. That had claimed, in trying to throw blame elsewhere, that ‘three women had been discovered bound and gagged, apparently killed execution style.’ A certain Admiral Smith was reported as having said that Afghan forces fired the shots in the compound and, in expressing regret for the deaths of two ‘innocent males’, added that “The women, I’m not sure anyone will ever know how they died….I don’t know that there are any forensics that show bullet penetrations of the women or blood from the women.” He said they showed signs of puncture and slashing wounds from a knife, and appeared to have died several hours before the arrival of the assault force. In respect for Afghan customs, autopsies are not carried out on civilian victims, he said. Narendra Singh Sarila - heir to the princely state of Sarila in central India. An ADC to Lord Mountbatten, he later joined the Indian Foreign Service, where he worked from 1948 to 1985. Amongst the more exciting books I have been able to catch up on recently is ‘The Shadow of the Great Game: The Untold Story of India’s Partition’ by Narendra Singh Sarila, a former Indian diplomat and prince. It deals with what he very convincingly portrays as the British plan to partition India, mainly to protect what it saw as its own strategic interests. I had been told about the book long ago, by its publishers in India, when I mentioned to them my own study of Paul Scott’s seminal account of the last days of the British Raj. 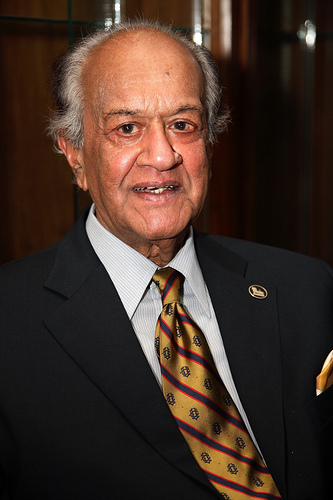 That was entitled ‘Partition and Divided Selves: British Inadequacies in Paul Scott’s Raj’ and explored his literary exposition of the British betrayal of, not just the Indians, but also their own ideals. I had long thought Scott the most exciting and accomplished of British writers who began their career after the Second World War. He could draw a whole range of characters and enable us to understand the emotional and psychological springs of their interactions, and he did this through illuminating evocation of the social and political background. In the process he made us understand the impact of their milieu on their characters as well as the effect their own compulsions and actions had on the world around them.